Booknotes life stories: notable biographers on the people who shaped America. · One Book. One Author. One Hour. 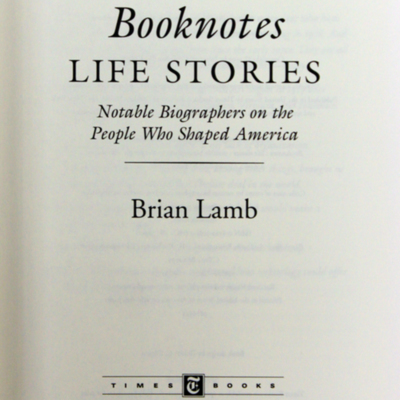 Booknotes life stories: notable biographers on the people who shaped America. 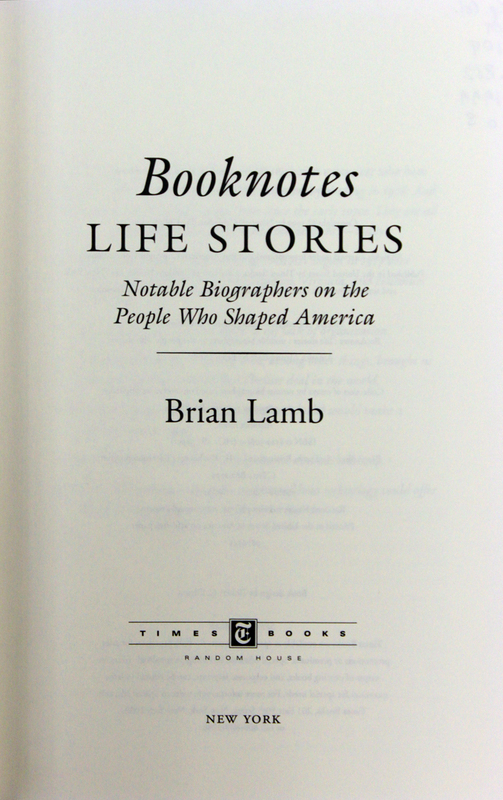 Lamb, Brian, 1941-, “Booknotes life stories: notable biographers on the people who shaped America.,” One Book. One Author. One Hour., accessed April 24, 2019, http://booknotes.gmu.edu/items/show/3087. Collection of essays by various biographers based on interviews originally held on the television program Booknotes. New York: Times Books, 1999.